If your new to MMA, then today’s post will help you out a lot, because today we are going to look at the rules in MMA bouts and how UFC Results are scored when a fight goes to the decision. As MMA grows in popularity globally every year, it is important that everyone is educated on exactly what is allowed and what is not allowed in MMA bouts and how these fights are scored. With MMA in its infancy as a sport, there are still unfortunately a large number of people that see MMA as nothing but violent barbarians banging into each other. For all lifelong martial artists and MMA fans like myself, we know that this stigma is nothing but uneducated judgements from people who have yet to realise the commitment, skill, athletic ability and strength of character that is required to be a top MMA fighter in 2017. The rules we are going to discuss in this post might be boring for some, but they are so important because they are in place first and foremost to protect the fighters as much as possible given the situation of an MMA bout. So lets get familiar with basic terms first, so MMA (Mixed martial arts) means unarmed combat between two athletes involving the use of a variety of techniques from various disciplines martial arts, including – grappling, submission holds, kicking and striking. “Unarmed Combat” means any form of competition in which a strike is thrown and landed, in the hope and expectation to inflict injury to your opponent in order end the bout. These MMA bouts are governed by the limitations set forth in the Unified Rules and other regulations of the applicable Commission where the contest is being held. “Commission” means the applicable athletic commission or regulatory body of the government who oversee the bouts, exhibitions and competitions of sanctioned mixed martial arts. How many weight divisions are there? In non-championship fights, there is 1 pound over the weight limit which is allowed for the combatants. In championship fights though, the contestants must weigh exactly the weight that is permitted for the relevant weight class. In the event a fighter is not able to meet these weight division parameters, then usually there will be a fine in the form of 20% of that fighters show money being forfeited to the opponent, and depending on the situation may result in the fight being cancelled. The Commission also approves catch weight fights in situations similar to the above, subject to their review and discretion. For example, the Commission can allow the contest to have a higher weight at say 177 pounds, if it is deemed to be safe, fair and competitive. This situation can be common when for instance, one fighter has been inactive for a long period of time and is having difficulty making the weight in his first training camp back. But there are many reasons why a catch weight bout can happen, and fighters are well within their legal rights to request a catch weight for an upcoming sanctioned bout as long as the time frames and reasons are reasonable, but it also may be turned down. Also within this, if one athlete weighs say 170 pounds while the opponent weighs 173 pounds, the Commission can still decide to allow the bout to proceed. 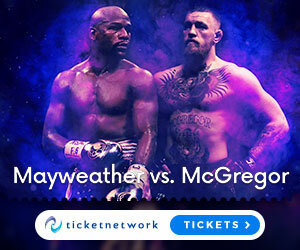 Of course this is dependant on them viewing that the contest would still be safe, fair and competitive, despite the fact that the two combatants technically weighed in at different weight classes. Can they fight in any kind of ring? No, as expected there are many rules and guidelines that a fight promotion like the UFC or Bellator has to adhere to in terms of fighting area requirements. Mixed martial arts fights and exhibitions are allowed to be held in a ring or a fenced area. However, this ring or cage must have ropes or fencing, be specific sizes and heights, being made with strong and stable materials, with sufficient padding etc. In the UFC and even Bellator you will only ever see a cage being used for fights, as rings with ropes in today’s world of MMA is mainly reserved for smaller fight promotions apart from some large Asian organisations like Rizin. How long do the rounds go? In every non-championship MMA bout, the length of the fight is always 3 rounds with each round approximately 5 minutes in duration, with a 1 minute break period between each round. In every championship MMA fight, the contest is extended across 25 minutes into 5 rounds, each being no more then 5 minutes in duration. Now if you haven’t been in a competitive fight or grappling match before, then you might think that 15-25 minutes doesn’t sound very long in comparison to some sports. But trust me when you body is being hit, grabbed, bent, cranked, choked while you are trying to survive, you will find that your gas tank will deplete faster then in any sport you have ever tried. So when you watch the warriors, the men and women who fight in MMA, undersatnd that they are required to put more effort in then in any other sport period, so it is not physically possible for fights to go on much longer then 15-25 minutes. Anything longer then 25 minutes in an MMA bout would only result in a likely increase in severe injuries and possible fatalities. In comparison to an MMA bout for example, most street fights people ever have in their life will usually be over in less then 5 minutes – the human body simply cannot handle the crucibles of bone on bone combat for very long, unless your extremely tough and well trained like MMA fighters. This really puts into perspective how tough an MMA fighter is if he or she last the full 25 minutes in an MMA bout win or lose. So how do they judge it? Well this can be an interesting topic to have with different fighters! As at times there can seem to be inconsistencies that can happen, but lets not get into all of that now. Across the board all fights are scored by 3 judges, who then evaluate the fight from different locations around the ring/cage. These judges have to be fully impartial which again can be a contentious subject at times, but that is the parameters and of curse none of the referees can be judges. The fights are scored under the 10-Point Must System – under this system the winner of the round must be awarded 10 points and 9 or less must be awarded to the lose of the round, apart from if a round is exceptionally close in which case it can be scored a 10-10 draw. The judges predominantly are evaluating the use of mixed martial arts techniques, such as effective striking, effective grappling (meaning take downs, reversals and submission attempts), control of the ring/fighting area, effective aggressiveness and defence etc. So thats the basics with that. Well once upon a time in the inception, the beginning of MMA, it was a brutal sport meaning, there wold be close to no rules and you could do anything to your opponent. If a foul is committed the referee will call a timeout (provided he sees the foul), and he will assess the best way to proceed in the fighters safety before the fight restarts. For example in the event of a low blow or eye poke, the referee will automatically give up to 5 minutes to the fighter to recover. During this recovery period, doctors may come in the ring/cage as a precaution or at the behest of the referee, to check that the fighter is healthy to continue fighting. Disqualification can occur if there is a combination of fouls from one fighter, or after a flagrant foul is committed at the discretion of the referee. If the illegal strikes were accidental but caused significant damage, then the fight may be ended as a No Contest by the referee. What are the types of results to a contest are there? Submission by physical or verbal tap out. Ok I’m satisfied now that you have been given a good education today on all the rules that go into MMA bouts, and how UFC results happen. If you have learnt the rules of MMA, how it is governed and the beauty of the sport then I’m happy, and even if you still see MMA as a “bad sport” at the very least I’m sure you have still learnt something about MMA and yourself. Now we will continue to break down the rules and regulations again in future posts because it is all relative to the world of MMA, and as we saw earlier in the video by UFC veteran referee John McCarthy there are also occasional tweaks that are made that are always worth noting. I hope you enjoyed today’s post, and as always if you have any questions, comments or general feedback then let me know in the comments below and I will get back to you – stay tuned for more from the MMAGateway. Well this article is a must have for MMA beginners. I will hand this to my youngest son I will definitely be sharing it with him. He loves MMA and I think he is considering giving it a shot. But of course as with any other skill you need to know the basics and you need to know the definitions and what exactly is going on in the game to a tee. So this is perfect for him thank you so much for this excellent work. Hi Michelle, that’s awesome that your son is looking to start a journey of martial arts and get into MMA. Your right though he must come to this post and MMAGateway in general to understand all the rules, regulations as well getting tips on products, nutrition, event information and techniques. If he is looking to broaden his martial arts knowledge before physical training then he might want to start learning a course like this. Hi there, great article. I am a UFC fan myself and although I may watch it I never did fully understand how the judges tallied up the scores. By the looks of things UFC is probably one of the roughest professions to get into along with having to follow all the rules while getting the crap kicked out of you. Hey Tony, glad you liked this article and that it helped you to better understand the rules of the octagon – like you say MMA is probably the toughest profession in the world, because staying inside the rule set while someone is beating you up is no easy feat for most.